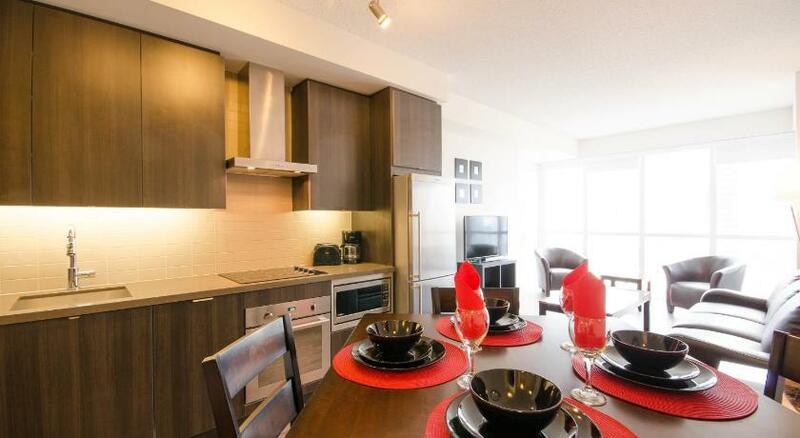 Home Home Are Furnished Apartments Right for Your Living Needs in Toronto? Are Furnished Apartments Right for Your Living Needs in Toronto? If you are planning to relocate to the city of Toronto in the near future, you may be taking a closer look at your living options available throughout the city. While your attention may have initially been focused on unfurnished apartments, the option of Toronto furnished apartments may have been presented to you as an alternative. These units offer considerable benefits for you to enjoy, but they are not suitable for all needs. Consider these points before you make a final decision about which type of unit to rent. When comparing furnished and unfurnished units in the city of Toronto, you will find that the average rental cost for furnished units is higher than that of unfurnished apartments. This is because you essentially are paying a premium to have access to furnishings and other items during your stay. Furnished units eliminate the need to purchase furnishings, and this may be more cost-effective if you do not own furnishings or if you will not be moving all of your items with you. On the other hand, if you do have at least a few items, you may need to put them in a storage unit while living in a furnished unit, and there is a cost associated with this. Unfurnished apartments are found in most areas throughout the downtown Toronto area as well as throughout the suburbs. Furnished units, on the other hand, may be more difficult to find in the suburbs and are more commonly found in the urban heart of the city. If you plan to spend most of your time in the center of town, both options may be ideal. However, if you rent a furnished unit in the downtown area and plan to spend most of your time in the suburbs, you will need to factor in commuting costs when updating your budget. A final aspect to consider is your short versus long-term plan. Furnished units are ideal for short-term needs, such as if you only plan to be in the area for a few months or if you plan to purchase a home in the near future. However, because they can be more expensive to rent in comparison to unfurnished units, they are generally not ideal for long-term needs. Even if you do not have a lot of furnishings available at the moment, an unfurnished unit may be better if you plan to live in the area on a permanent basis. As you can see, there are many factors to consider when determining if you should be looking at furnished or unfurnished apartments in Toronto. If you are still on the fence after taking these factors into account, you may consider touring a few units to get a better feel for what the options are. For more information and resources visit the Premiere Suites website.